We are so proud of Alex! He made the Honor Roll! ALEX, WE ARE ALL SO PROUD OF YOU! 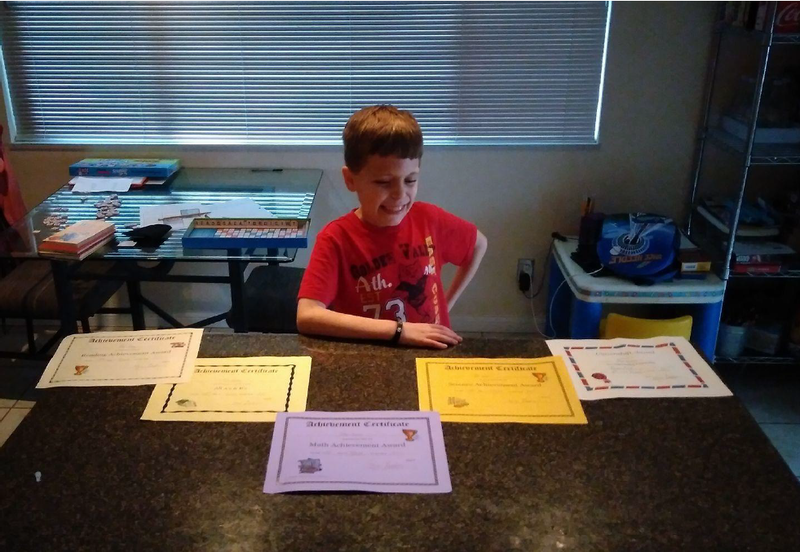 Alex Sims’ 3rd quarter awards and report card at Parker Elementary. He received awards for honor roll, math, science, reading, and citizenship. All A's and B's on the report card. Even a bigger achievement when you consider the health issues he's dealing with.